Long before the first smoker was lit or sauce was ladled, barbecue was born with a Latin twist. The Texas tradition of cattle ranching has its origins in the vaqueros of the Iberian Peninsula who brought their herds to the New World. It was a nomadic life demanding open- fire and underground cooking. 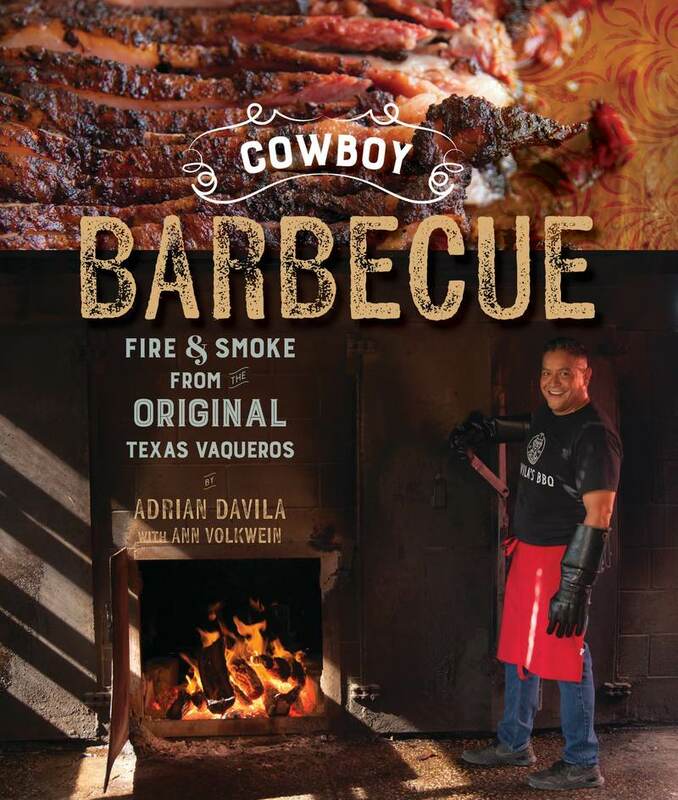 Adrian Davila is a third generation barbecue master at Davila’s BBQ in Seguin, TX. Representing Davila’s, he won first place on Food Network's BBQ Blitz "Texas Takedown" and has appeared on numerous national cooking shows. Ann Volkwein is a bestselling cookbook author. Her previous books include: The Arthur Avenue Cookbook; Chinatown New York; Country Cooking from a Redneck Kitchen (with Francine Bryson); and Diners, Drive-ins and Dives (with Guy Fieri). She divides her time between New York City and Austin, TX.